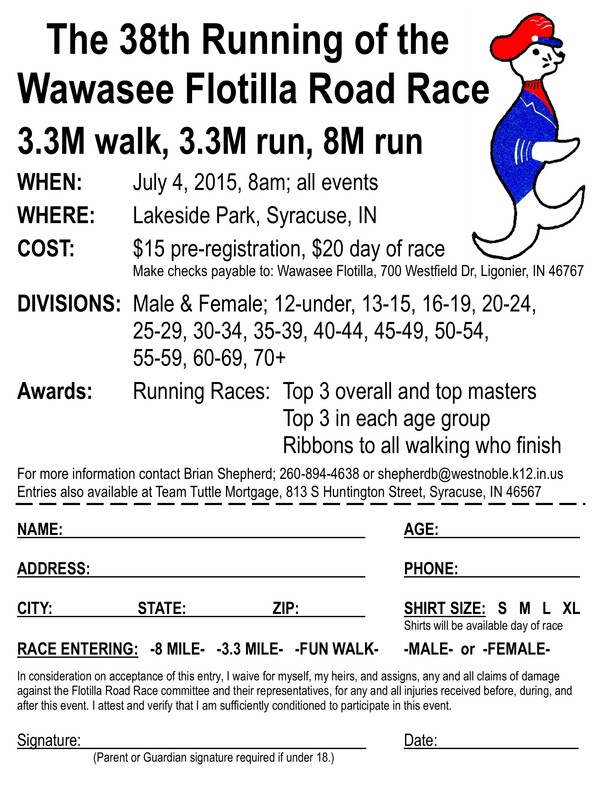 2015 Wawasee Flotilla T-shirts are available at Griffith’s Wawasee Marina, Newmarket and Main Channel Marina. 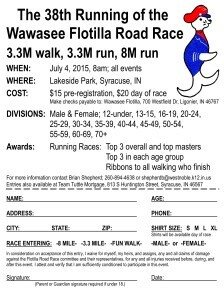 Entries also available at Team Tuttle Mortgage, 574-457-3775, 813 S Huntington St, Syracuse, IN 46567. Date & Time: Saturday, July 4th. Gather in front of the Wawasee Spink at 1:00 pm. 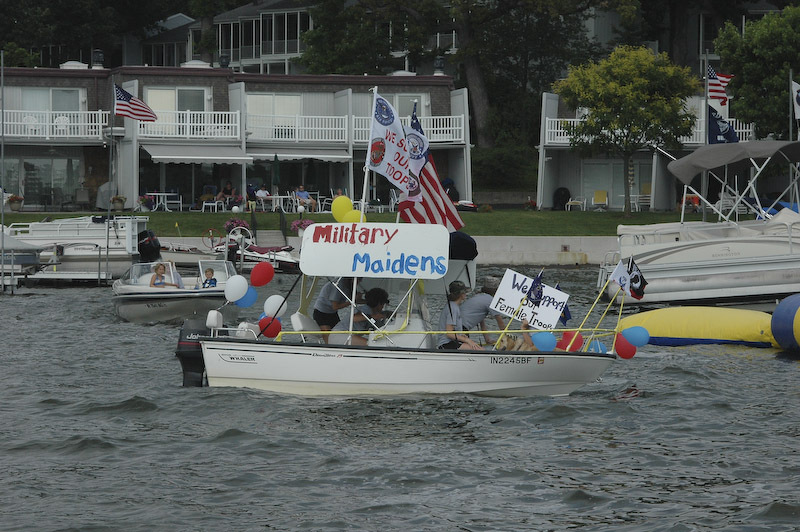 Parade Begins at 1:30 pm, moving clockwise around the lake. Ahoy, Mateys! 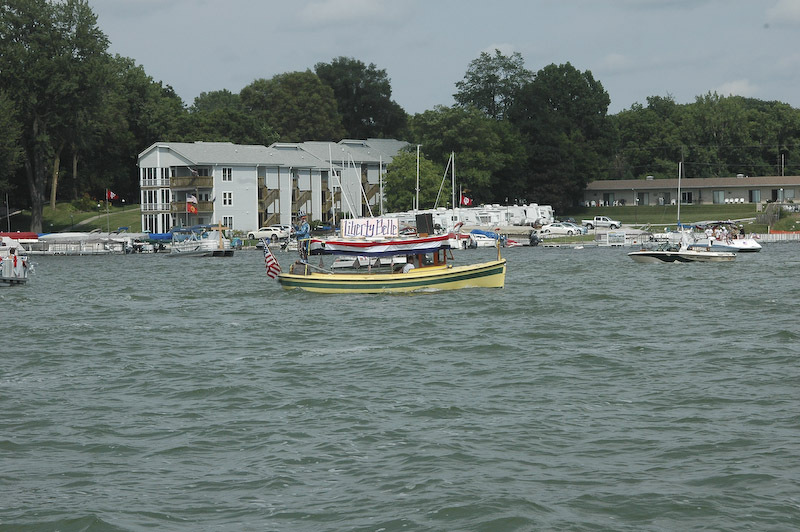 The Wawasee Flotilla will be celebrating its 54th parade during the 2015 Fourth of July Weekend. This year’s theme is “Pirate Parade”. Who are your favorite Pirates? Buccaneers, Never Land, Jimmy Buffett…? 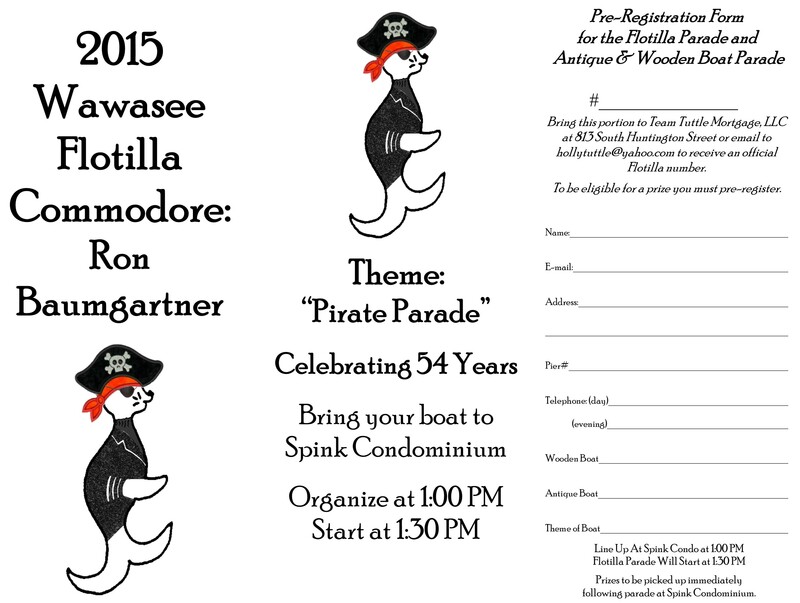 Entries are invited to decorate their floats and piers to depict their favorite pirate brigade. You need to register in order to be eligible to win an award. Registration forms will be available at local retailers, or you can call 574.457.3775 or email hollytuttle@yahoo.com to have one sent to you. You may also register the day of the Flotilla at the judge’s boat. 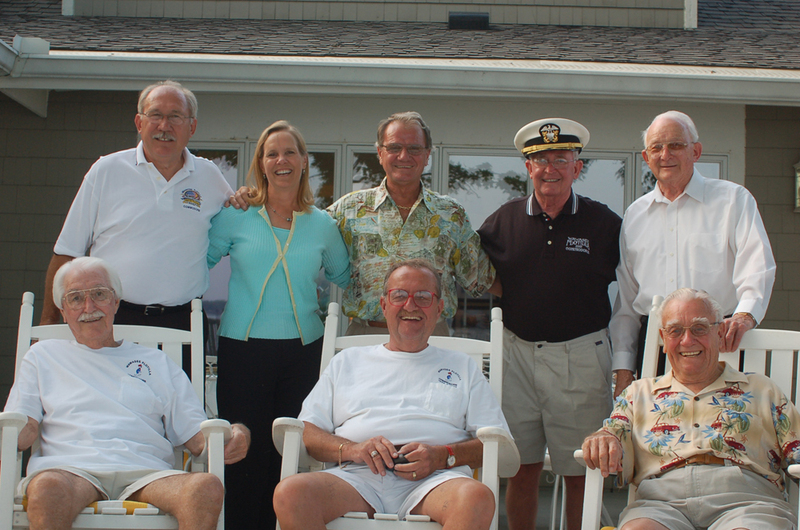 Awards: This year’s awards will be the coveted Commodore Cup, DNR, Wawasee Property Owners Association, Neighborhood, Youth, Wawasee History, Most Patriotic, Commercial/Business, Non-Profit, Best Wooden and Antique Boats, and Most Original. An award will also be given for the best on-shore display. Flotilla Fundraiser Event: Please join us for a three hour cruise on the S.S. Lilly Pad II on Saturday, August 8th, 2015 from 7:00pm to 10:00pm. Contact Lisa Hill lisahill.wawasee@gmail.com for ticket information. Thank You and hope to see you July 4th!